Did the cavemen have names? Listener Kat got in touch to ask if cavemen really did have names and when did humans start naming each other. Lucka Bibic went in search of cavemen's names with the Professor of Linguistics at MIT, Shigeru Miyagawa. 00:00 - When did people start using names? 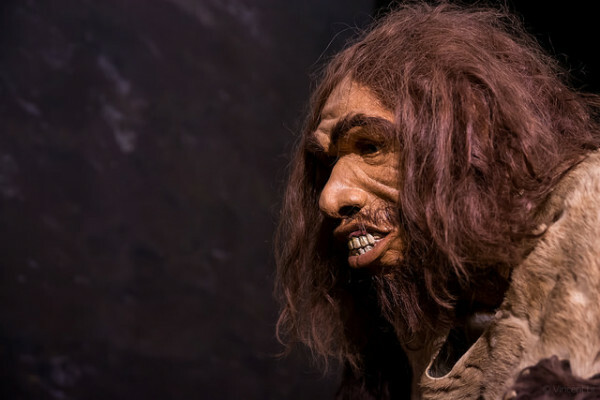 Did cavemen have names? And when did people start using them? Kat: - Hey, scientists. This is Kat from Kansas City, Missouri. I was reading a Gary Larson comics the other day and noticed all the cavemen had silly names, and it got me wondering, did cavemen even have names? When did human beings start naming themselves? Lucka - We asked you what you thought on Facebook. Alejandro wrote. Alejandro - Did you suppose the first name was an insult? Lucka - And Andrew thinks. Andrew - I think early humans were given name to their young out of affection rather than necessarily like we do today. Lucka - To get to the bottom of this caveman mystery, I enlisted the help of linguist Professor Shigaru Miyagawa, from MIT. But first what do we mean by cavemen? Shigaru - The thing to keep in mind is that the idea of cavemen is for the most part fiction that was created by popular culture. It's based on things that appear to be real. A lot of things have discovered in caves like paintings and artefacts with symbols. But the image of them hunting alongside dinosaurs for example is a romantic fiction of evolution. Lucka - Got you. 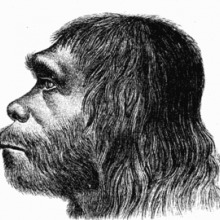 So, let's step away from the caveman like Fred Flintstone and look instead at our own species, homo sapiens. How did we first start to communicate with each other? Shigaru - I think a lot of theories actually you could imagine. One theory says that communicated in single words just like monkeys. Some monkeys have a single word system like snake, leopard, and eagle to let the others know that a predator, like a leopard, is nearby. Another theory which is by Charles Darwin says that pre-humans communicated by singing just like birds. He observed that bird song is the nearest in origin to human language. And birds sing to attract mates. So maybe our ancestors communicated this desire to mate by singing. Which of these is true, a single word system or singing? Well, we don't really know because language doesn't fossilise. Actually, what I think is that both were probably true. Our ancestors communicated in words to warn others of a prey in the vicinity and singing to attract mate. Lucka - This singing could have been an early framework for things like grammar and the early start of language. But back to the original question, when did names come along? Shigaru - Human language appeared only recently. Some say about 100,000 years ago. That was around the time that Homo sapiens were migrating out of east Africa into the Eurasian continent. They were hunter-gatherers. Once farming became possible, around 10,000, maybe 12,000 years ago, you had more fixed roles in a larger community of people. So, you had to come up with a way to distinguish individuals. That's when you started to assign names. Certainly, the origin of human language in evolution is one of the great mysteries of science. Lucka - The best we can do without a time machine. Thanks, Shigaro. Next week, we will be scanning the horizon to answer Loot's question. Loot - How did the moon get its markings? What year were caveman born or how long ago? Also was there women at cavemen times? Wild parrots are know to name their young, with documentation that each chick will have an individual and unique call the parents use when interacting with the chick. Birds have the language gene similar to people, so i would assume that 'cavemen' did have names in some form to identify individuals.